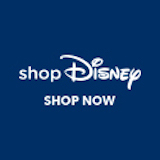 Summer 2014 Disney Files Magazine - DVCNews.com - The essential Disney Vacation Club resource! A brand new issue of Disney Files Magazine is on its way to members. This summer issue features a cover story on the Seven Dwarfs Mine Train, along with a look at room renovations at two Disney Vacation Club resorts. Disney Heritage - Disney Legend Marty Sklar shares "Memories of the '64 World's Fair." Disney Files Magazine is a quarterly publication offered exclusively to Disney Vacation Club members. Print copies are mailed to members' homes. Several years worth of back issues are available for download in PDF format at DVCMember.com.